Itap is not an iPhone app (yet), but is, in fact, a clean, well-organized beer haven in one of the macro beer capitals. They're ballsy, refusing to include a single macro in their 500+ offered beers (if that's not worth a pat on the back, you must be missing hands). 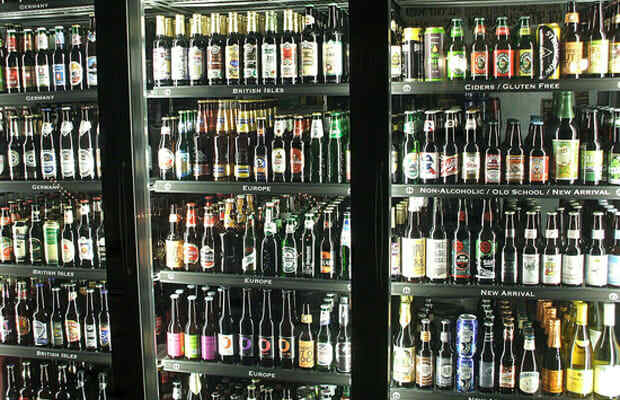 Beers are organized into country and style, and the coolers are lit up like the treasure troves they are. Kegs are rotated heavily so on a busy night you could see 60+, but you'll have to get your food somewhere else; the beer is the main and only event round these parts. And though that's a shame, we understand. Come on Wednesdays for kill the keg night: $12 for bottomless glasses of the kegs they are looking to switch out.